The time is now to bring out your creative side. Being creative doesn’t have to be a costly thing anymore. Nowadays all you need is time and a few everyday household items. If you’re new to this, don’t worry. You can bring out your inner Picasso without getting frustrated from watching bad tutorials on how to create something nearly impossible. Here’s a list of the top five things you can create with everyday household items. This first one is going to be pretty simple. All you’ll need is a rake, a screwdriver, a screw, and a few wine glasses. We are going to be making a wine glass holder. It will have a beautiful rustic decor giving it that vintage look. The older the rake, the more vintage look you’ll get. With your garden rake, all you will need to do is remove the rake head with your screwdriver. After it’s removed, you can wash it with soap and water and once it’s clean all there is left to do is to pick a spot and screw it up on the wall. You will want to make sure the teeth of the rake are facing towards you and use the space in between the handle up top to screw in your screw. When your’re finished and you think it’s sturdy enough to hang, your wine glasses hang them on up. Just like that, you have yourself a wine glass holder. Taking your wine glass organization to a new level! If you’re interested in more alcoholic creations, this one’s the life of the party! That’s right we’re talking about booze! Well, the bottle. You do, however, have to have that bottle empty before we create our soap dispenser. All you need is your favorite empty alcoholic beverage bottle and your old soap dispenser. Transfer all of the liquid soap from the old soap dispenser to the container and when you’re finished all that’s left to do is to screw on the old pump to the new bottle. Voila! Now you have a wicked cool soap dispenser. 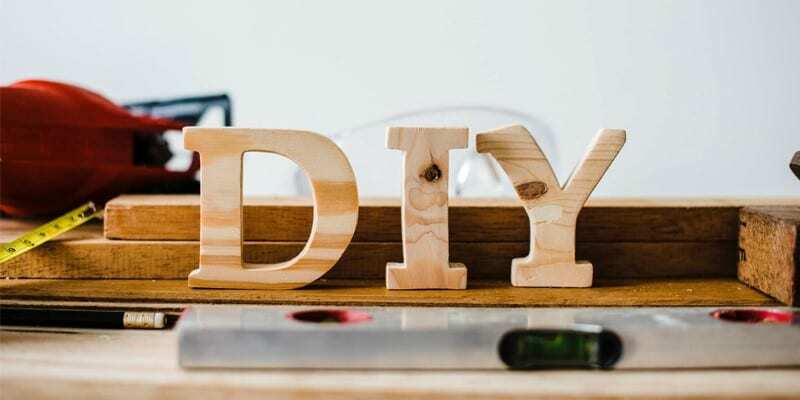 Ready for our teams favorite DIY on our list of things you can create with everyday household items? The next household masterpiece will be giving new life to old teacups by using them as a pot for cacti and flowers. You will have to drill a few holes into the bottom of your teacups so that water can drain from the cups. You will need a small teacup plate to collect the drainage. It is essential to be careful with your choice in plants as well. Don’t pick too large of flowers or plants with extremely rapid growth development. Since the small diameter and depth of the cup will not allow certain species to grow. Cacti and succulents are very suitable to grow in tiny sizes. Once you’ve put your earth into the cups and planted your seeds you can set the adorable cups around your house and watch them slowly grow. Another eco-friendly thing to create is a bird feeder. Making bird feeders are quite simple. To independently make a bird feeder all you need is an orange and, a knife to cut the orange, string, and skewers. Cut the orange in half and remove the insides. Pierce two holes from front to back with your skewers and remove the skewers. Take two separate strings and put them through the holes and tie it at the end. Now all you need is to hang your bird feeder and fill your orange up with seeds. So we’ve discovered 4 things you can create with everyday household items, and this last one the biggest gem. Turn a T-shirt into a reusable grocery bag. This is a washable alternative to plastic bags and dirty canvas bags that get destroyed in the wash.
All you will need is a thick T-shirt, a pair of scissors, and a needle and thread. You will want to turn your shirt inside out and cut a big V by the neckline of your shirt. At the very bottom of your shirt, you are going to sew the bottom of the shirt so that it’s nice and sturdy. If you’re not great at sewing, I would recommend super gluing the bottom of the shirt multiple times. Once you finished sewing turn the shirt inside out; there you have it. A reusable grocery bag. If you want to test the strength of your bag, you can hang it from a hanger and put a few heavy items inside. There you have it! The top five things you can create with everyday household items. Don’t be afraid to add more stuff to this list. You can even come up with your own list. Or just experiment with things around your house one day. Whatever you decide to do, stay creative and remember to bring out your inner Picasso.